Insulated VDE screwdrivers for work on or around live components up to 1, 000V AC. Injection of the protective insulation onto the screwdriver blade and piece by piece inspection offer maximum safety. Insulated tools are hand tools used by electricians to help protect them from, and reduce electrical related incidents such as: electrocution, arc flash, and arc blasts. The use and application of insulated tools and appropriate PPE (Personal Protection Equipment) by electricians is required. 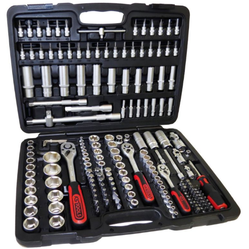 We provide a superior range of Friedrich Insulated Tools from Germany. 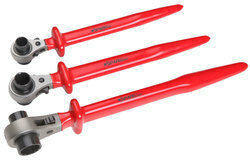 We are the leading supplier, Trader And Distributor of Full range in Knipex Insulated Tools chennai tamilnadu. We offer VDE Insulated Tools Upto 1000 Volts Comply with One or more of the following Standards VDE, ASTM, IEC CSA, OSHA, EN/IEC, NFPA Insulated Tool Standards. We depend on consistent strategic thinking, continuous innovation in all sectors with the clear-cut aim of achieving technological advances, and last but not least highly qualified employees. Friedrich VDE Insulated Screwdriver, Pozidriv, 1000Vwith 2 component handle for cross recessed Pozidriv screws, 2 different colors red/yellow combination, ergonomically handle for better torque transmission and comfortable handling, handle printed with 1000 V and size.